DISCLOSURE – Redmond Trading sent me these products free of charge in exchange for an honest review. I’ve used their Real Salt in my cooking for the last year or so and absolutely love it. I recently wrote about it on my Pantry Staples post. It tastes better than regular table salt and I like knowing that it doesn’t contain any funky ingredients. It’s just unrefined salt with natural minerals. Today, I wanted to share a review on the items in their Organic Seasoning Gift Box. 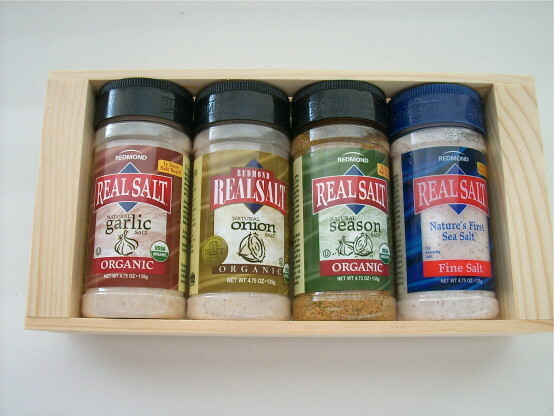 Their Organic Seasoning Gift Box contains Real Salt, Organic Garlic Salt, Organic Onion Salt and their Seasoning Salt. Unlike some of the other seasoned salts on the market, these products contain NO anti-caking agents, sugar or MSG. There aren’t any ingredient names in these products that I don’t recognize. I’ve been using all of these products a lot in my cooking since I received them. I am happy to say that I am a big fan of each one! One of my favorite ways to use the Organic Garlic Salt was for Sweet Potato Chips. Using the mandonline slicer on my grater, I thinly sliced one sweet potato. I placed them in a bowl, added some EVOO, tossed them to coat all of the potatoes and layed them out on a sheet pan. Then, I sprinkled them with the Garlic Salt. I baked them at 400° (flipped them halfway through the cooking time) until they were crispy, about 20-25 minutes. They were super tasty and definitely something I will be making again. Healthy, delicious potato chips with only all-natural ingredients! The Organic Seasoning Gift Box sells for $19.99 on the website, and I think that it would make a great gift for the health foodie in your life. They also sell individual bottles of each product as well. 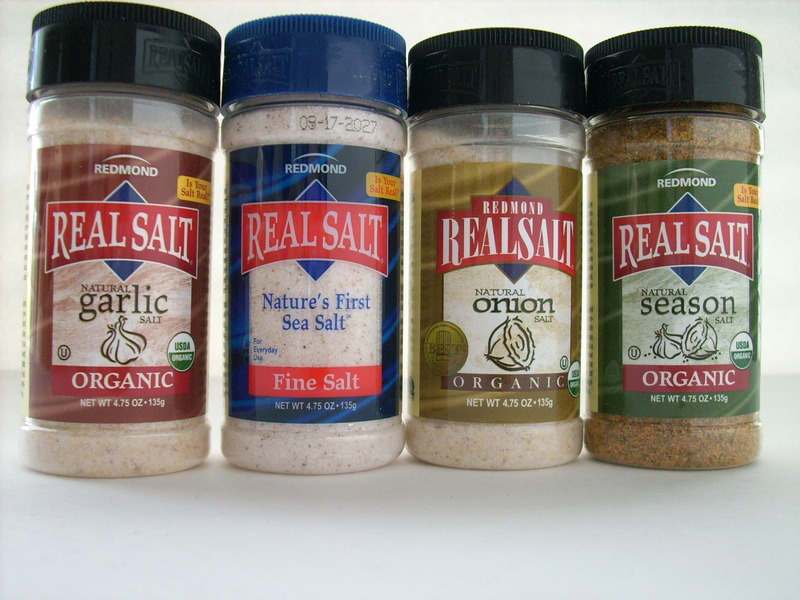 The Real Salt is available in stores, but I haven’t seen the Season Salts in my local stores, so I think you may have to order those off of their website. I might be wrong though. Individually, the season salts sell for $4.92 on their website, which I think is a fair price. Prices on the Real Salt vary depending on the store, but I usually pay somewhere between $3.25 and $3.50 for mine. Have you tried Real Salt or any of these other seasonings? By Tempie at May 20, 2013 . I do use Real Salt, we get a bigger container that’s a plastic pouch with a spout. I get it at my food co-op. I haven’t seen the other varieties, they do look to have good ingredients.